It doesn't get better than this! 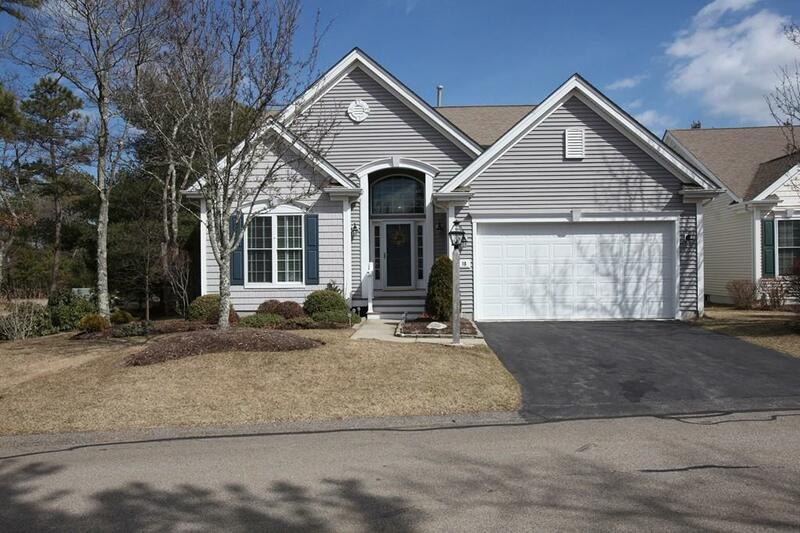 Impeccably maintained Laurel model home on an oversized, corner lot in the active, adult community of Great Island in the PINEHILLS. Located on a desirable street close to the Overlook Clubhouse, the open concept floor plan features 3 bedrooms and 2.5 baths, including a beautiful 4 season sunroom just off the eat in kitchen. Beautiful kitchen cabinets features timeless Corian countertops, tasteful tile backsplash and high-end stainless steel appliances, including double ovens! The family room is situated off the kitchen and features soaring windows, a gas fireplace with blower and a ceiling fan. Entertain your guests in your dining room/living room combo just off the kitchen. Convenient first floor master suite, laundry room and private office with built ins complete the first floor. The private, larger backyard is filled with well-maintained perennials adding peace and serenity to an already perfect outdoor oasis. Get in while this home lasts!